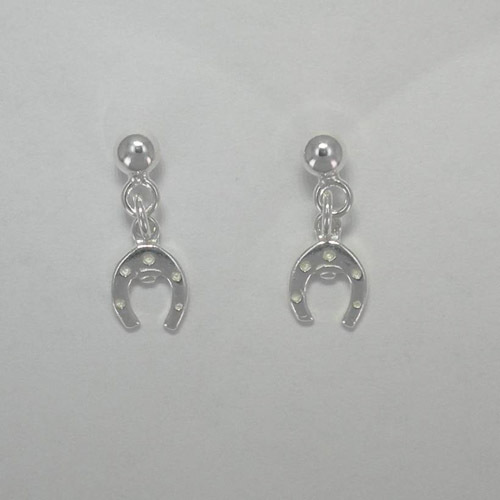 Desc: Sterling Silver small dangle horseshoe post earrings. Each horseshoe dangles from a Sterling Silver ball post earring. The earrings have a bright polish finish.